A survey by PricewaterhouseCoopers (PwC) finds that financial services CEOs overwhelmingly feel there is a lack of talent available to hire. This lack could ultimately affect the long-term growth and success of businesses in the financial industry. The report, “A New Take on Talent,” is based on a survey of 410 financial services CEOs across 62 countries and finds these CEOs challenged by new technologies deemed “too disruptive,” government interference in terms of increasingly complex regulation, and competition, all of which, the CEOs say, are affecting their ability to recruit qualified employees. That last point is worth focusing on for a moment. 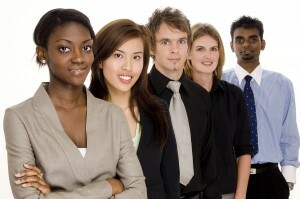 According to the report, the competition for qualified employees is being driven by a need for a more diverse workforce. Apropos to their concerns about new technology, financial services CEOs are facing a need for what the report calls “hybrid types of talent.” In other words: employees can’t just be good with numbers; they also have to comprehend new technologies. There appears to be a golden opportunity for recruiters, based on this survey. PwC’s survey shows 78 percent of financial services CEOs now look for a much broader range of skills when hiring than they did in the past. That opens the doors for candidates with strong skills from outside the financial sector. It seems as if the CEOs can probably hire people without financial services skills (or at least a deep skill set) and train them. The survey also says that 58 percent of financial services CEOs say they have a strategy in place to promote diversity and inclusiveness. A further 20 percent say they plan to adopt one. That also sounds like a good opportunity for sharp recruiters. Do you have a regular client in the financial services industry? How to put this delicately — maybe they’re not known for their diversity in hiring? See if you can help them craft a plan for diversification. The Houston Chronicle published an article that should help you establish some guidelines — either for getting an organization to put a diversity plan in place or to help you diversify your own recruitment efforts. That involves some legwork on your part, but it could ultimately pay off. You need to find out how to reach the diverse population. It could mean targeting newspapers or websites that cater to specific segments of the population. Another possibility is targeted groups on LinkedIn that might meet your needs. Another, possibly simpler, solution might be our old friend/nemesis, Google. Type in the group you might be targeting followed by your area (i.e. Laotian college students Denver Colorado). See if any networking groups or community organizations come up. Future growth opportunities for recruitment are going to come from financial services organizations entering into a new joint venture or strategic alliance to access new technologies. Joint ventures and strategic alliances frequently lead to turmoil within organizations. Be aware of companies joining together and be prepared to poach their employees or help them place new ones. Finally — and this may be the biggest hurdle — you have to help your financial services clients overcome an image problem. Apparently, the talented candidates out there don’t trust the industry. Almost two-thirds of the financial services CEOs see that erosion of trust as a major roadblock to their ability to grow.